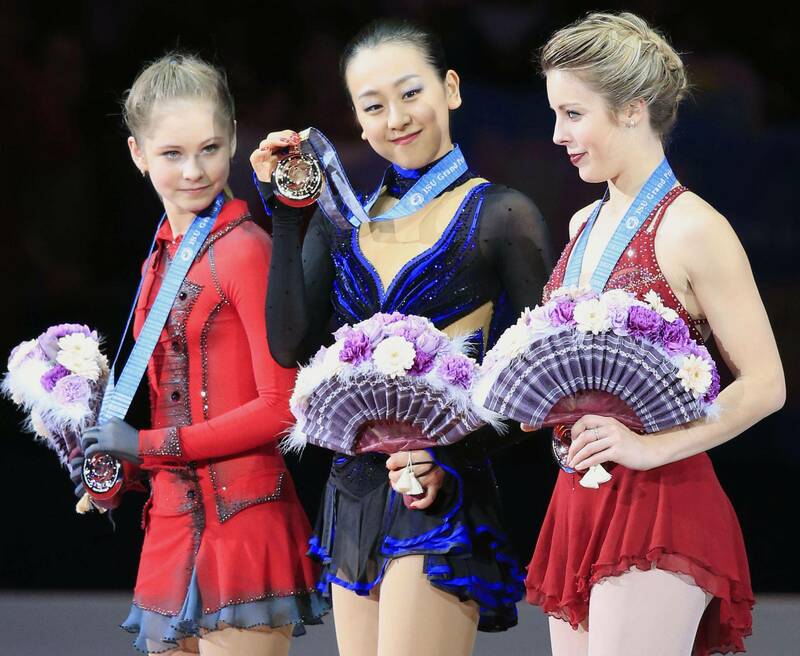 FUKUOKA - Mao Asada captured a record-tying fourth Grand Prix Final victory on Saturday night despite a less-than-inspiring free skate. It was what she did not do on this night that will be talked about, however. With the Sochi Olympics just two months away, Mao badly needed to land her triple axel and a triple-triple combination jump, but she did neither. Mao skated to “Piano Concerto No. 2” by Rachmaninov and looked stunning in a black and blue-sequined outfit before a capacity crowd of more than 7,600 at Marine Messe. But trouble found her once the music began. 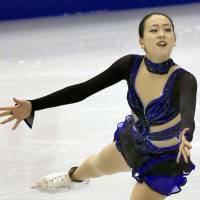 Mao fell on her opening triple axel, then two-footed the landing on her second triple axel, and did not attempt the double toe loop which was to be the second part of the combo jump with the axel. 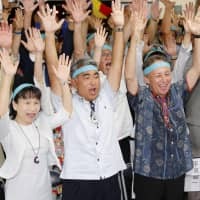 The two-time world champion did find her rhythm in time to hit five triple jumps, before under-rotating a pair of double loops as part of a three-jump combo late in the program. Mao earned a total score of 204.02 from the judges to give her a nearly 12-point margin over Russia’s Julia Lipnitskaia (192.02), who finished second. Lipnitskaia moved up from fourth in the short program to make the podium. American Ashley Wagner took third place with 187.61. The triumph tied Mao with Russia’s Irina Slutskaya for the most GP Final victories by a woman. 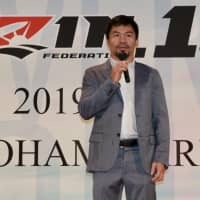 But there was an emptiness hanging in the air afterward, as the reality that Mao must face defending Olympic and world champion Kim Yu-na in Russia soon, but continues to struggle with what have to be considered required elements to have any hopes of winning the gold there. With Kim seemingly poised for victory at the lower-level Golden Spin in Zagreb later Saturday, after topping Mao’s season-best score in the short program on Friday, the contrast in outlooks was stark. 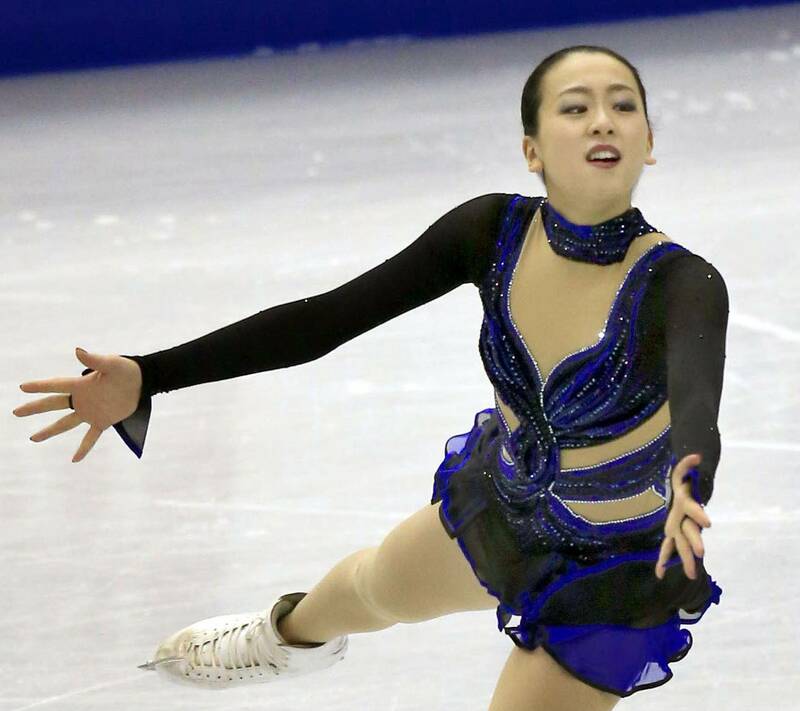 Mao was asked about the inclusion of a second triple axel in her free skate for the first time this season. Mao acknowledged that time is running short before the expected showdown with Kim. The 15-year-old Lipnitskaia was fairly satisfied with her performance on this night. Germany’s Aliona Savchenko and Robin Szolkowy were the surprise winners in the pairs. The German duo moved up from second in the short program and totaled 227.03 to best reigning world champions Tatiana Volosozhar and Maxim Trankov (223.83). Victory is nothing new for Savchenko and Szolkowy, who now have four GP Final titles to go along with the four world championships on their resumes. This was different, however, as they dealt the Russians their first defeat since the 2012 worlds. The result was the same there, with the Germans taking gold and Volosozhar and Trankov settling for silver. China’s Pang Qing and Tong came in third on 213.98. Americans Meryl Davis and Charlie White captured the ice dance for the fifth straight year with a total of 191.35. The world champions edged Canada’s Tessa Virtue and Scott Moir (190.00) by just over one point. France’s Nathalie Pechalat and Fabian Bourzat were third (169.11).